We now know that our children are always learning. If you are alive you are learning. It is what we all do best if given two things. 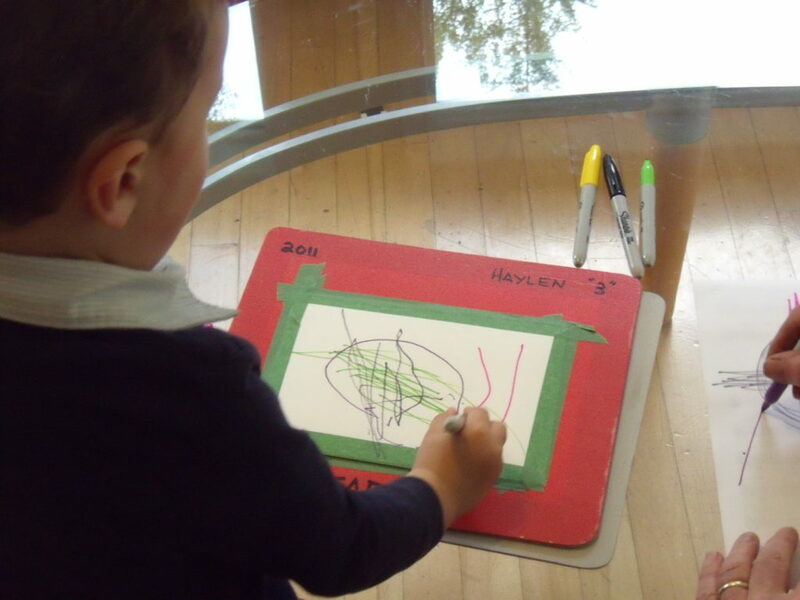 A one to two-year-old is ready to have a great time being a little artist. Here is a girl who just started drawing her Artabet Lines. 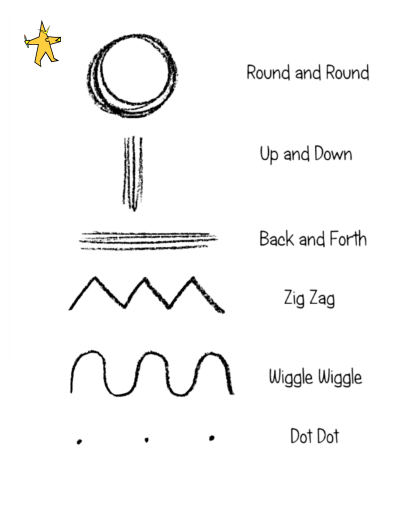 These 6 lines are the best foundation for all visual learning and developmental motor skills. Never too young, never too old. This girl is 13 months old and her Mom has been showing her the 6 Artabet lines. At this age, Round and Round, and Dot,Dot,Dot, are the favorites. Notice her perfect, classic grip on the felt. The extra hand on the far right is that of a 3-year-old who has had no Artabet instruction as of yet. Her tight-fisted grip will be the first change to make. Below is a three-year-old just starting their first drawing lesson. Start with the grip and you will have a great beginning. It takes some patience and repetition but after about 20 or 30 grip adjustments they will have it for life. 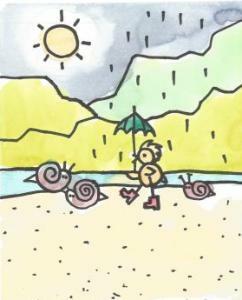 Check out our other blogs about what to teach young children when they start drawing. A perfect grip makes for strong, confident lines. Never too young and never too old to learn or to change. 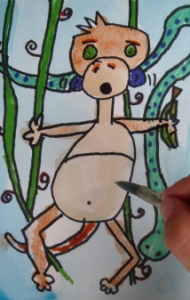 Let me show you how I have successfully taught children art for the past 30 years. The Artabet is based on the fact that there are 6 universal lines that provide the building blocks for all the shapes in a drawing. This is a fundamental artistic principle and it is the best place to start your teaching. Practice them and master them by starting every drawing session with at least 3 to 5 minutes of drawing them. Watch some of the instructional videos on this website to see how it is done. Practice them and master them by starting every drawing session with at least 3 to 5 minutes of drawing them. 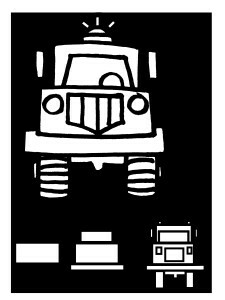 If your child or student is between 1 and 3, then all you need to show them are the 6 lines of the Artabet. Do not try to show them ‘How to Draw’, just do the 6 lines of the Artabet until they can draw them. That is their drawing. Drawing is movement with lines – so learn the lines. 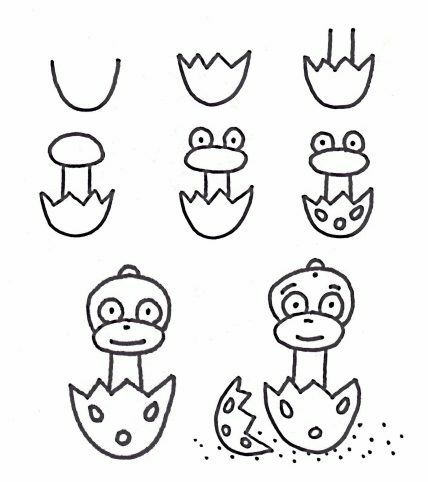 As soon as they have a few down and can say the name as they draw it, you will be ready to draw one of the characters like the Ladybug as demonstrated in the ‘How To Draw’ videos. Do not rush, force, trick or bribe them, to copy you. Let it happen through engagement and example. Play ‘Art’ with them. Artabet is a language and we learn it from watching others. You draw and have a good time and they watch. Just like teaching them to talk and walk. They always join in and start drawing. Draw from the heart right from the start. The 6 universal lines of the Artabet are the movements in line that enable you to teach and succeed at teaching young children to draw. Where did these 6 universal lines come from? Well, they have always been here much like 2 plus 2 has always been 4 and always will be. These are the elemental lines that describe everything we can possibly see in our Universe. Think of how you use the letter symbols of your particular Alphabet to write about different subjects. Now think about how we use the six lines of the Artabet to draw what we see and imagine. Invent lots of variations of the 6 Artabet lines and then warm-up with them. I teach lots of older children and adults from ages 12 to 90 and almost without an exception, few of them know how to create an engaging picture. They have the ability to draw a character but lack the insight to use that drawing and Draw a Story with it. Let’s draw a Character from the Artabet and then find out How to Draw a Story with it. All the drawings in this book are ordered so that each drawing builds on the skills from the previous one. After 30 years of trial, we know exactly what levels to introduce to the 3 to 12 year old and when to introduce them. Thunderfoot is in the middle of the book. 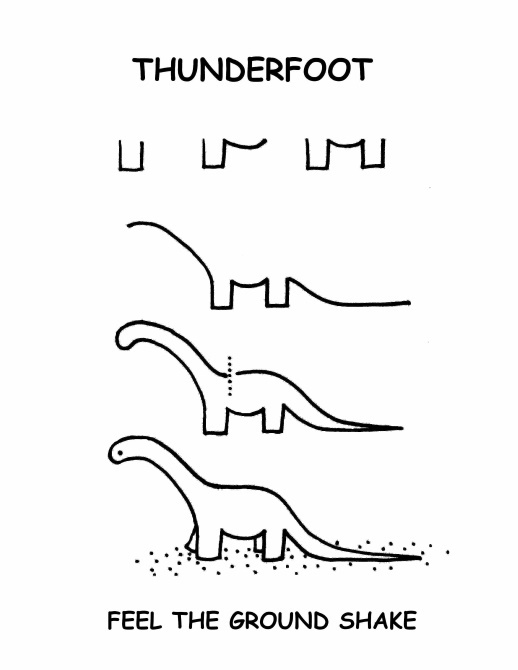 Let’s Draw a Story Using Thunderfoot the Dino. 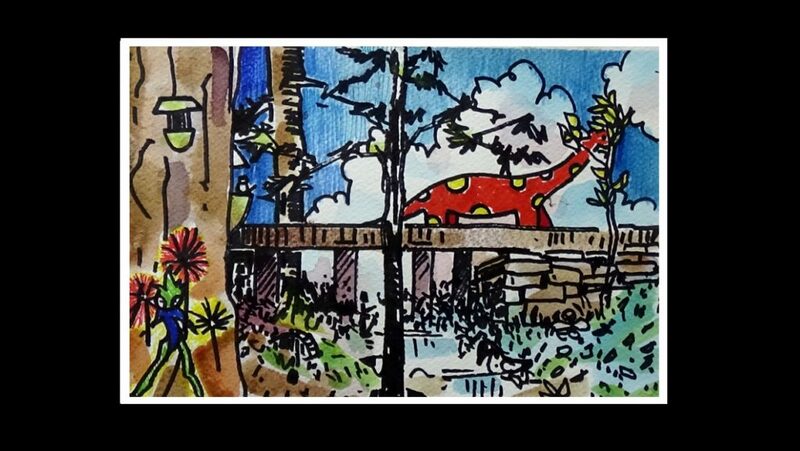 We found a great bridge at the local park during Summer Art Camp this year and decided to add Fairies and Trolls and Dinosaurs. What do I Have to do with the character to make it into a Draw a Story? Can you find the Three Lines In the picture below? Now start using them to Draw a Story. I use inexpensive 20 lb. bond paper for the warm-ups and exercises and initial character drawings. I also use recycled paper that is good on one side. I also use inexpensive sketch books. I do not use ‘good’ paper for the warm-ups and exercises as they are just for practice and not really for keeping. I will keep the character drawings on this paper for reference or because I might use then as reference material for a more finished drawing on ‘good’ paper. I use the heavier ‘Cardstock’ paper ( 30 lb. to 60 lb.) for Character drawings that we are adding color to with colored felts, colored sharpie pens, or colored pencils. I use real Watercolor Paper (90 lb. to 140 lb.) cut into small sizes that range from 3 inches by 5 inches to 7 inches by 10 inches. Anything larger is not cost effective and is too large for ages 3 to 12. Big papers take more time to complete. Smaller papers get finished and give your student time to finish. Stay away from BIG! Cheap materials make poor art!!! Good materials last longer are more cost effective giving pride of accomplishment to your students. Little hands need little pencils. I use the big Red Dixon Primary pencils and I cut them in half. The lead is soft and it is easy to make a mark. 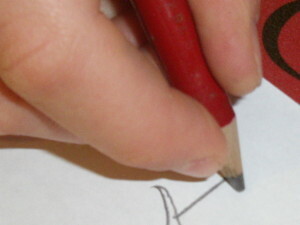 A Ratio of hand size to pencil size is crucial in the beginning. Would you give an adult hockey stick or cricket bat to a 5-year-old and expect them to manage it. Violins are sized to fit small hands and so should the pencil. Beware the Yellow Office Pencil with the little Pink Eraser at the top!!! Erasers help us draw. They do not get rid of mistakes. There are no mistakes in Art!!! Children who erase all the time grow to be unhappy perfectionists who never get anything ‘perfect’ and eventually give up drawing. Sharpies get the job done. Every time someone says, “Oh I made a mistake!” we all begin the mantra again and all is peaceful … until it happens again. Then we say the mantra again. After 2 or 3 lessons we never hear the ‘mistake’ word again. When a child is liberated from the fear of making a mistake – confidence is born! It is the doing not the done. Pens come in many shapes, sizes, colors, and each has its own quality. I use the black sharpie pen that is available worldwide and is a favorite with my students. The sharpie is water-proof so you can paint over it and the drawing is still visible. Other black felts may bleed when water based paints are washed over them. Always test your materials before teaching with them. I have had teachers report to me that students who ‘hated’ drawing time before the Artabet now love it. One of the main reasons is that we use sharpies to start off with and so there are ‘no mistakes’. The black mark says it all for those students who were prone to erasing their timid little pencil marks and hiding behind their erasers. Big spaces need big tools and the tiny pointed nib on a sharpie or felt pen will take a long time to fill in a large space like a sky. Invariably someone does not get it and begins the huge task of filling in that big blue sky one stroke at a time. We gently remind them that sharpies outline and fill in small spaces. We use paint for the big spaces. Brown monkey and blue background were done with paint. 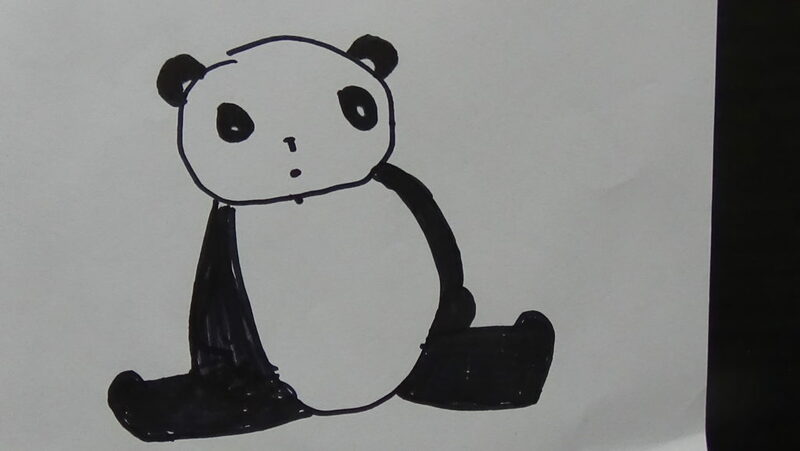 Here is a black sharpie drawing of our favorite Panda that is 3 inches by 5 inches. The filled in areas are as big of a space as you would fill in with a sharpie or felt. Black and White Is What Pandas Like. Panda in black sharpie on 140 lb. watercolor paper. No story so far. 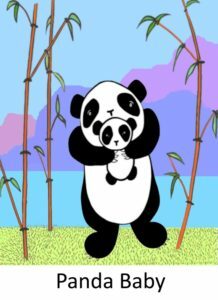 See below for Draw a Story with our Panda. AH!!! 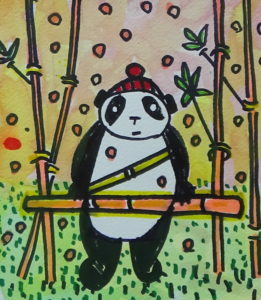 Here he is all ready to get the Bamboo Feast ready for the ‘Panda of the Year Award’. 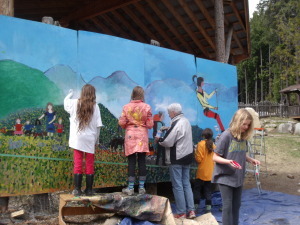 Painting is a magic word for kids. It ranks right up there with ‘Play Time’ and ‘Snack Time’. 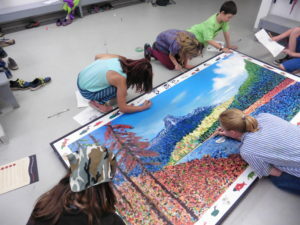 It is my goal in every Artabet class in a school, a group class, or a special Holiday class to arrive at ‘PAINTING TIME’ in the last part of the class. Here is how to get your paints ready, what kinds of paints to use safely, and how to economize and save money. Contrast is everywhere in nature. Always something bigger and something smaller. Draw and Paint with Principles, not Rules ! Select a small piece of Watercolor paper (5 in. by 7 in.) and tape it to a 10-inch by 12-inch board using green Painter’s Tape. 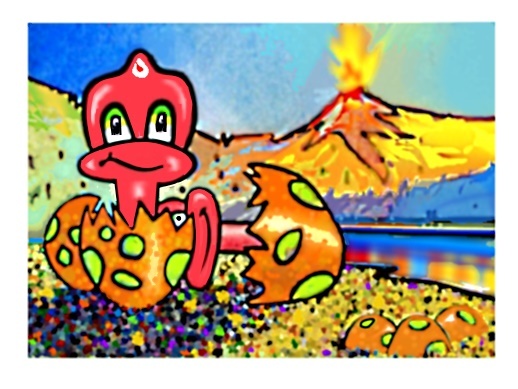 The purpose of Artabet is to entertain, engage, nurture, develop, and inspire. It is also, in a classroom setting, a wonderful social interaction with bonding and sharing between all. Art has never been a competitive endeavor. Not once in over 30 years have I seen this happen. Art is Fun when you know there are No Mistakes to be made. The principles (concepts and main ideas) that are used in the Artabet are of course the fundamental ideas that all visual artists use to express their feelings and ideas creatively. 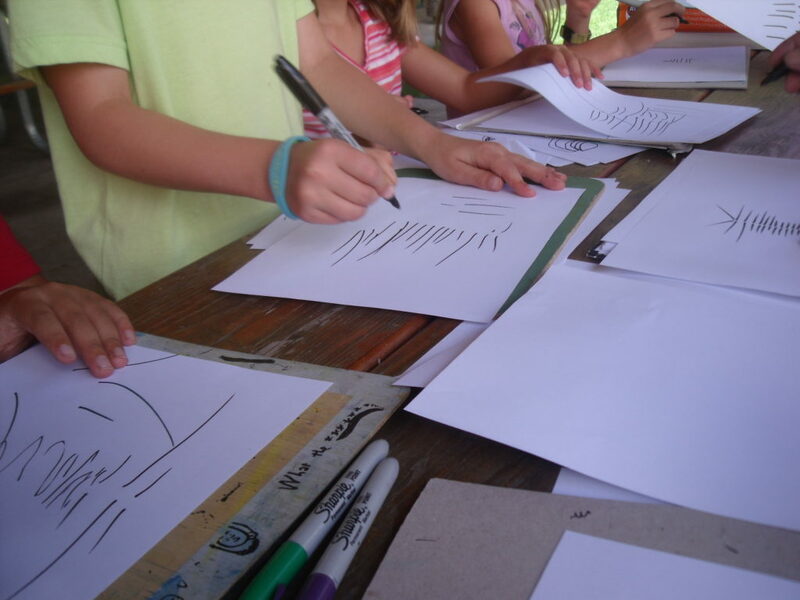 They are easily understood when we teach art to children from ages 3.5 years to 12 years. They are not usually introduced before the 6 lines of the Artabet are known. Study the pictures below and see the changes that are made with “In Front and Behind”. Some things are close Some things are far. Some things are in front. Some things are behind. That line that goes through the picture from side to side hopping over everything in it’s path. This line is a really big breakthrough for young artists and is rarely understood, used, or taught. 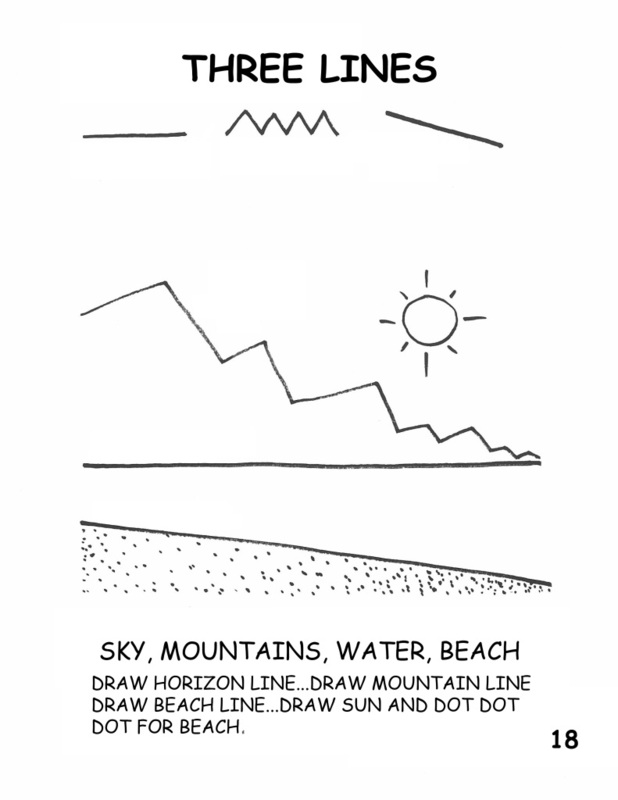 Three lines … a character or two …Some weather …and you have Drawn a Story using artistic principles and not rules. Simple to use and seldom employed. The Great’s discovered this principle about 700 years ago. Simply put something dark in front of something light. Make something start dark and gradually get lighter. (Gradation or Scaling) We did that with the sky in this picture. In the Darkest Space, there is always Light. 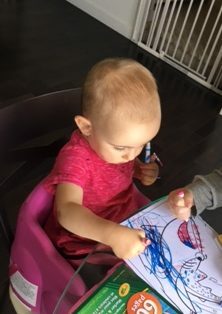 How Young Do I Teach My Child Drawing and Painting? As soon as they start eating and holding things – and before they start texting!!! 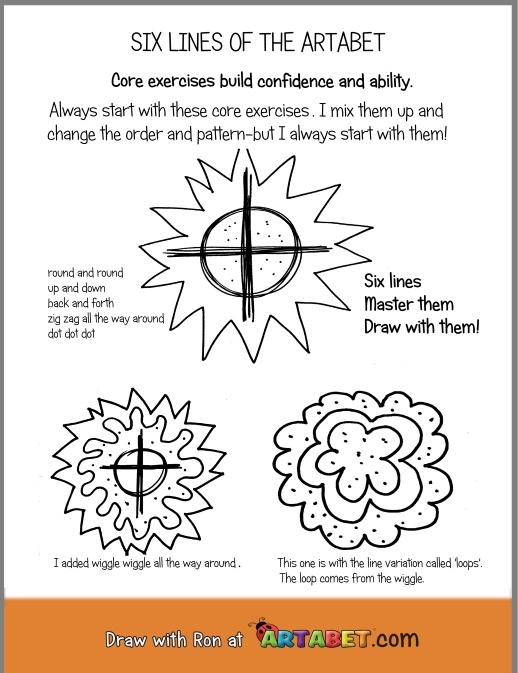 These are the main principles to start with to teach your children or students to draw and paint. When you need some more let me know and I will give you a personal ‘Tutorial’ free of charge. I LOVE TO TEACH PRINCIPLES!!! i would like to start classes for kids..
can you plz help me out in it..
Hi Ron , I want to start home classes for kids 4- 12 . Can u pls help with the material and course content . I want children to understand and love art not copy from the book. Have sent you our first Getting Ready To Teach Artabet Pac. Send me your answers and we can go to the next step. 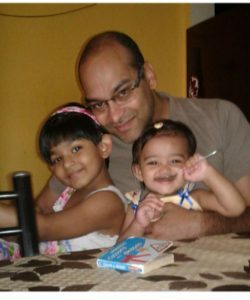 Hi Shevta, I would get the Artabet eBook and start at the beginning and get your child learning the 6 Artabet lines. 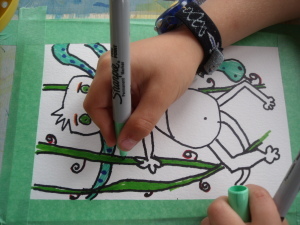 I have successfully taught 3 to 6 year olds drawing by simply drawing the Artabet lines for about 3 to 4 minutes at the start of each lesson and then doing one of the simple characters like the monkey or the ladybug. Let them watch the videos and draw along with me. If that is too hard then draw with him yourself. Quality time drawing with your child can be a remarkable learning experience for both of you. 3- Draw a story using the concept of the 3 lines from the Artabet Book. I have used this Lesson plan for 30 years and it has always given both pleasure and artistic development to those students who have drawn along with me. Very useful information. Can you give more information regarding black pens to be used for drawing by children. Their brand name etc. when pen drawing is made then how to use different medium of colors. 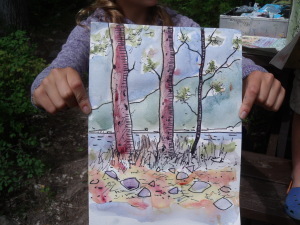 Usually when children use water colour they make mess of the outline of drawing. Please advice. The Black pens are called ‘sharpie’ pens and they are permanent black ink pens.Permanent means they will not ‘bleed’ when you paint over them. Look for the word permanent when you purchase the pens. There are a number of brands that will work. As to the mess when you watercolor over pencil outlines: This can be avoided with the use of Black permanent pens. That is one of the reasons I use them when watercoloring over a drawing. Pencils can be erased and black permanent pens encourage boldness and confidence in drawing. 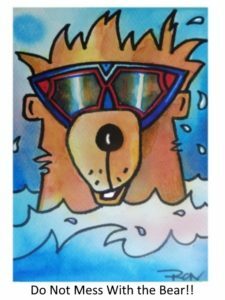 Hi Ron , I am self taught artist I want to start home classes for kids 4- 12 . Can u pls help with the material and course content ? I want children to learn drawing and painting as well. 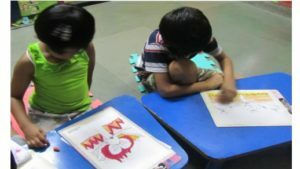 Thanks Poorvi,for your keen interest in helping children learn to draw. Here are some great resources to get started with. They are all available on the website. The FREE HOLIDAY Teacher Pacs For your students are a great resource to use for teaching. Go to the home page and get your FREE DOWNLOAD right away. Next is you should purchase The Artabet First Steps In Drawing Book, also available on the Home Page. As far as materials just watch all the teaching videos and they will outline all the materials you will need. After you have done this homework then email me at info4artabet@gmail.com and we can go over the particulars as to you getting started. Thank you for your sharing,I am a person who love to draw, and recently my brother in law who suggesting me to teach her younger son to draw, but i have no ideas how to start, so can you send me more informatios how to teach a 3 year old boy to draw? 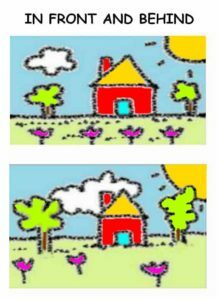 Once again the best place to learn how to teach a 3 to 5-year-old to draw is watching the How To Draw videos on the website and drawing along with your child or students. 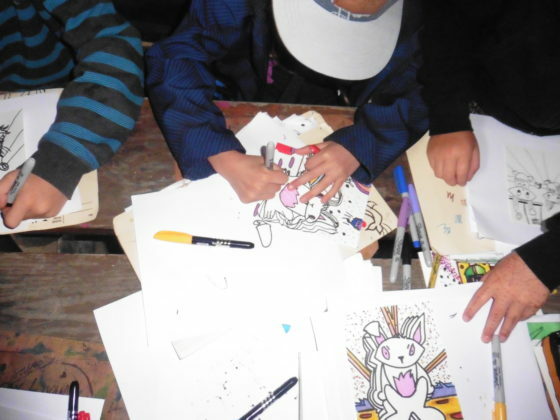 The Artabet was designed and tested with thousands of kids before the website and book came out. 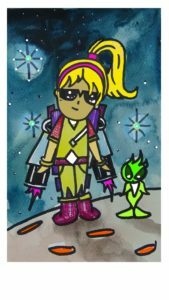 Follow me on the blogs and videos and have some drawing fun. I have a 4 year old who is interested in drawing and painting and Coloring. However I want to teach her properly. Can you please help.me in this regard? And also how to get the artabet ebook? Thanks in advance! Email me at info4artabet.com and I’ll get you started. Sorry for missing your question. Hey! Can you tell me which brushes to be given to 2-4yr olds? Flat or round? Hey Sufia, here is what I suggest for brushes.Small hands need small brushes so I cut them down to size. Flat brushes are more durable but do not encourage a good brush technique for kids. Using a round brush (#6 to #9) synthetic and with a sturdy point will do better. Teaching them to scrub away with a flat bristle brush will not develop any skills. A flat soft synthetic brush has a few applications but is not so versatile as a round. Also, the round brush is much like a felt pen and will be treated with more skill.Keep your paper size down to about 5inches by 7inches for their paintings. Bigger paper needs a bigger brush and takes more time.